If there was ever a man who loved to host, it’s Caleb Shrum. 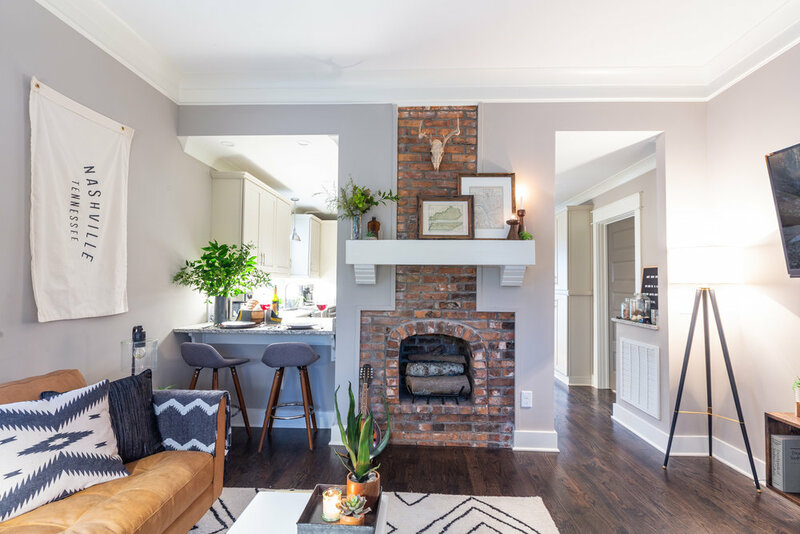 When Caleb moved into a newly renovated house on Peachtree Street, he knew he wanted a space that made people feel right at home when they walked in. With this gorgeous camel sofa, black and white accents, and touches of the outdoors throughout, we think he (ahem…we) hit the nail on the head. Yes, you may serve me an Old Fashioned now.